Beautiful Berkeley home with 4-bedrooms and 4 1/2 baths. 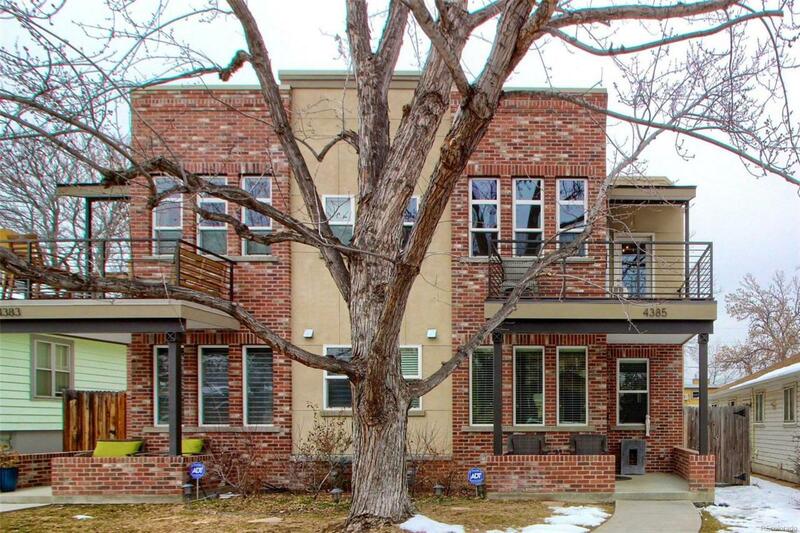 Berkeley is a city-center neighborhood within Denver, with downtown just 10 minutes away and nearby Berkeley Lake and Park just a short walk down the street. Tennyson Street is within walking distance and has some incredible restaurants and shopping. The floor plan of the home is highly efficient and remarkably spacious with three floors and a full basement. Each bedroom has its own bathroom, which makes it comfortable for guests and family. Mitsubishi Mr. Slims provide room heat and A/C for extra comfort in the master bedroom and the bedroom on the third floor. The kitchen center island with the adjoining dining area tends to be the gathering place whenever we entertain, or when weather permits, enjoy the private outdoor back patio. During the summer, the water feature in the back adds a nice touch with the sound of the cascading water and the fire feature takes the chill off on cooler evening or for a fun effect. Offered by Alaris Properties Llc.